The Change textures and effect dialog is the heart of the application. In this dialog you tell BluffTitler which textures and effect must be used to bring the active layer to life. When the All layers checkbox on the tool window is marked, the textures and effect of all layers of the same layer type as the active layer are set. When you hold down the <Control> key when clicking on the OK button, only the textures and effect of the other layers are set that are changed in the active layer. A texture is a picture pasted onto a 3D model. How do I apply a texture to the active layer? Click on the Change texture button, choose MEDIA > Change texture or press <F8>. 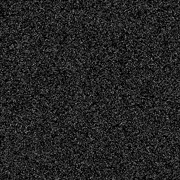 A static picture (JPG, PNG, BMP, TGA,...): click on the Select texture... button. An (animated) GIF: click on the Select texture... button. 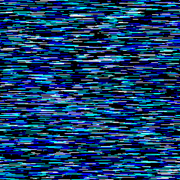 A video (WMV, AVI, MPEG, FLV, MOV,...): click on the Select texture... button. Your webcam: click on the Select webcam... button. Your TV tuner: click on the Select webcam... button. A colourmap generated by a colourmap layer: click on the Select colourmap... button. 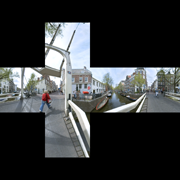 A cubemap generated by a cubemap layer: click on the Select cubemap... button. 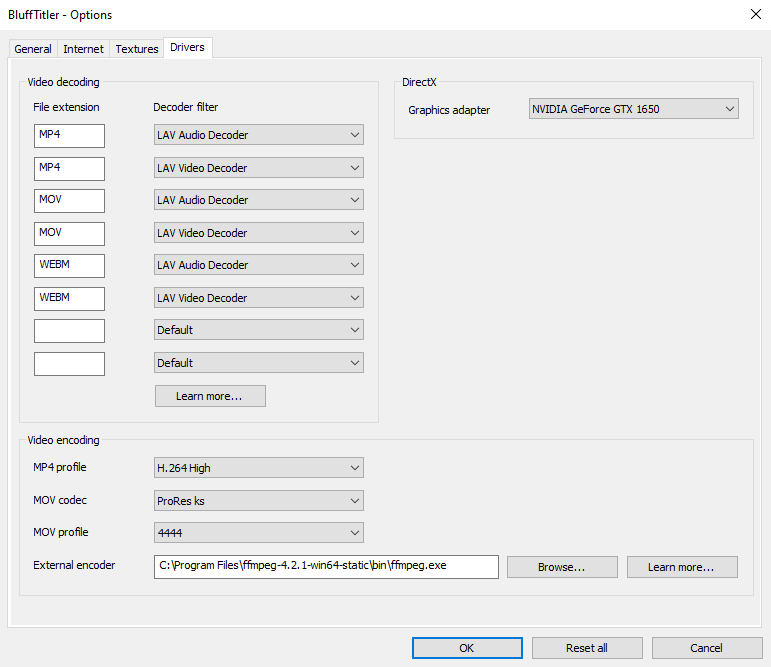 Videos are streamed when you mark the Stream video and audio streams from the internet checkbox in the Internet options tab of the SETTINGS > Options... dialog. BluffTitler uses Windows Imaging Component (WIC) to import and export picture files. This means that BluffTitler can use any picture format if there's a compatible WIC codec installed. By default, Windows comes with codecs for the JPEG, TIFF, GIF, PNG and BMP formats. For other formats you might have to install a new codec. FastPictureViewer Codec Pack offers a huge collection of picture codecs. With this pack, BluffTitler can import EXR and HDR files. 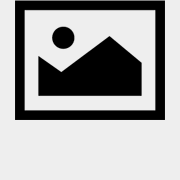 The Microsoft Camera Codec Pack offers a huge collection of camera specific (RAW) file formats. Choose the WIC tab in the <Control><F1> dialog for a list of all WIC codecs installed on your system. BluffTitler uses DirectShow to play video and audio files. This means that BluffTitler can use any video and audio format if there's a compatible DirectShow decoder filter (also called a codec or a source filter) installed. By default, Windows comes with codecs for the WMV, AVI and MP3 formats. For others you might have to install a new codec. K-Lite Codec Pack offers a huge collection of DirectShow decoder filters. With this codec pack, BluffTitler can play MP4 and M4A files. You can force BluffTitler to use a specific codec for a specific file extension in the Drivers tab of the SETTINGS > Options... dialog. For video files you can define 2 codecs: one for the audio and one for the video stream. Choose the DirectShow tab in the <Control><F1> dialog for a list of all DirectShow codecs installed on your system. 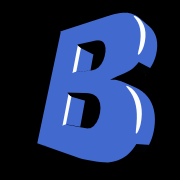 An effect tells BluffTitler how to render the layer using the textures. 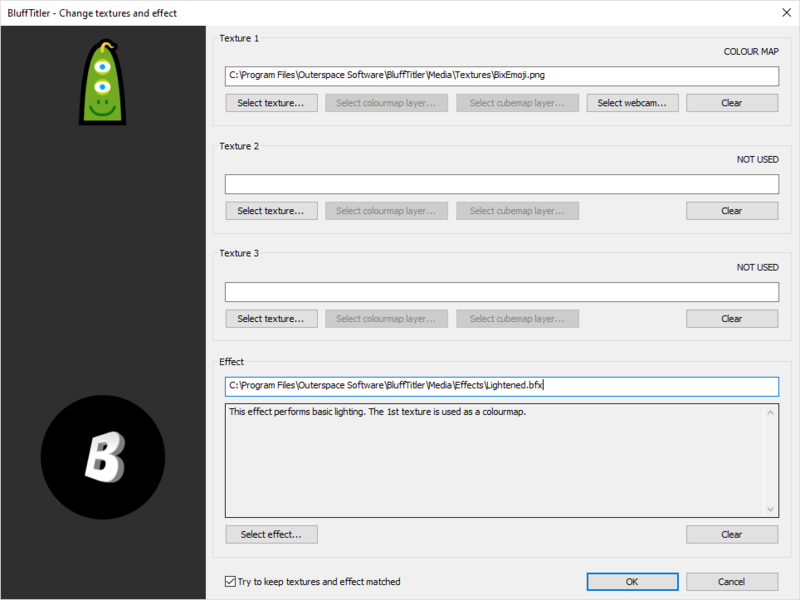 BluffTitler effects are stored in files with the extension CFX, which stands for compiled effect.The installer comes with about 150 effects that can be found in the BluffTitler/Media/Effects folder. How do I apply an effect to the active layer? Click on the Change effect button, choose MEDIA > Change effect or press <F9>. 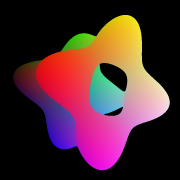 Effects contain vertex, pixel and other shader types. Shaders are small apps that run on your graphics card. For this reason effects are also called shaders. And effect(s) is sometimes written as FX. Effects work in close cooperation with textures. 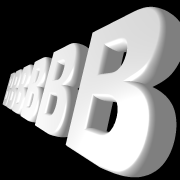 For example the reflectionmap effect requires a reflectionmap texture. This is the reason why the textures and the effect are set in the same dialog. Some effects add new properties to a layer. Effect properties can be recognized by the FX prefix. 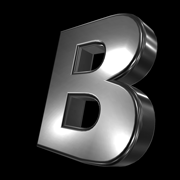 For example the reflectionmap effect adds the FX Lighting factor property to your layer. Effects specifically designed for use in the camera layer can be found in the Effects/Camera folder. The effects in the Effects/Filters folder also work great applied to the camera layer. It is important to realize that it is not always necessary to use a texture. Many effects work perfectly without a texture. 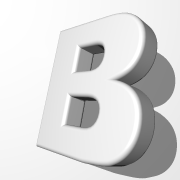 A 3D text without a texture looks like this. The effect used is Effects/Lightened. The NotLightened effect turns off all lighting. It is very useful for background pictures. Colourmapping is the most basic type of texture mapping. The picture is simply pasted on the 3D model without adjustments. This is how a colourmap looks like in a paint application. This is how the same colourmap looks like pasted on a text. The effect used is Effects/Lightened. What are other names for a colourmap? A colourmap is also called a diffusemap or a picturemap. How do I create a colourmap? Use your camera or your paint app like Photoshop or PaintShop. Tools to generate colourmaps are Filter Forge, Substance, Genetica, Materialize and PixPlant. Reflectionmapping is a trick to create reflections. Instead of computing the real reflections, which is very slow, the reflections are taken from a picture that contains the reflections in all directions. A correct reflectionmap (spheremap) looks like this. In practice, pictures like this are used as reflectionmaps. This picture is not a correct spheremap, but is much easier to create and produces great results. Don't be afraid to use ordinary pictures and photos as reflectionmaps. Applied as a reflectionmap, the result looks like this. The effect used is Effects/Reflectionmap. What are other names for a reflectionmap? 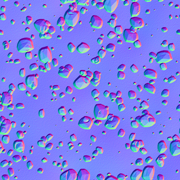 Reflectionmapping and environmentmapping are general names for all techniques storing the reflections in a texture. The technical term for what BluffTitler calls a reflectionmap is a spheremap. How do I create a reflectionmap? 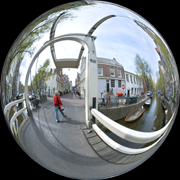 You can use Bixorama to convert 360° photos in various formats to reflectionmaps. Normal pictures and photos work surprisingly well as reflectionsmaps so don't be afraid of experimenting. When using normal photos don't forget to unmark the Try to keep textures and effect matched checkbox to turn off the associations. Cubemapping does the same as reflectionmapping, only in a better quality. A cubemap contains 6 squares, representing the 6 faces of a cube. 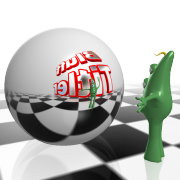 BluffTitler accepts cubemaps in the DDS format. A cubemap contains the 6 faces of a cube. The texture used is Textures/CubeMap.dss. 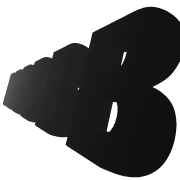 This is how this cubemap looks like rendered on a text. The effect used is Effects/Cubemap. The fun starts when you apply cubemaps to 3D models! How do I create a cubemap? You can use Bixorama to convert 360° photos in various formats to the DDS format for use in BluffTitler. 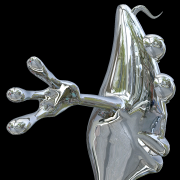 A normalmap contains the surface normals (vectors perpendicular to the surface). It is used to simulate bumps. The normals are encoded in the red, green and blue colour components. A normalmap looks like this. The texture used is Textures/Pebbles_Normalmap.png. This is how this normalmap looks like rendered on a text. The effect used is Effects/Normalmap. The fun starts when you combine normalmapping with colour and cubemapping. This text has been rendered with the AdvancedMaterials/ColourmapNormalmapCubemap effect. What are other names for a normalmap? Normalmapping is sometimes called bumpmapping. This is confusing because displacementmapping is also sometimes called bumpmapping. How do I create a normalmap? Our favorite tools are Filter Forge, Substance, Genetica, Materialize and PixPlant. NVIDIA offers a Photoshop plugin to create normalmaps. A displacementmap is a greyscale picture describing the heights of the surface. Black is low and white is high. In contrast to normalmapping that simulates bumps by changing the lighting, displacementmapping also changes the geometry of the surface. This is more expensive, but gives a more realistic result. A displacementmap looks like this. 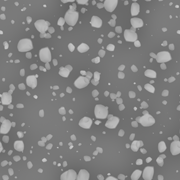 The texture used is Textures/Pebbles_Displacementmap.png. This is how this displacementmap looks like rendered on a text. The effect used is Effects/Displacementmap. Compare this picture with the normalmap. The fun starts when you combine displacementmapping with colour and cubemapping. This text has been rendered with the AdvancedMaterials/ColourmapDisplacementmapCubemap effect. What are other names for a displacementmap? A displacementmap is also called a heightmap, heightfield or bumpmap. This is confusing because normalmapping is also sometimes called bumpmapping. How do I create a displacementmap? Our favorite tools are Filter Forge, Substance, Materialize and PixPlant. To prevent the terracing effect when rendering landscapes with heightmaps, make sure your heightmap is in a HDR format. 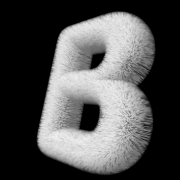 A furmap is used to simulate hairy surfaces. 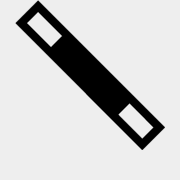 A transparent pixel means no hair, and an opaque pixel a hair. A furmap looks like this. The texture used is Textures/Fur.png. This is how this furmap looks like rendered on a text. The effect used is AdvancedMaterials/Furmap. The fun starts when you combine furmapping with colourmapping. 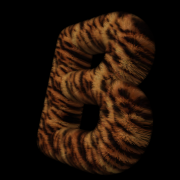 In this example a tiger texture is used. How do I create a furmap? Use your favorite paint app. A voxelmap is a 3D texture containing tissue density and normal information. It is mostly used to visualise medical datasets. Only the Voxel layer can render voxelmaps. BluffTitler accepts voxelmaps in the DDS format. 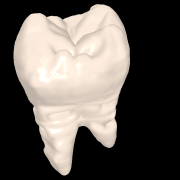 This is a voxelmap generated by a CT scan of a molar (tooth). 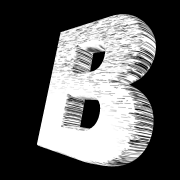 The effect used is Effects/Voxel/VoxelLightened. Voxelmaps can also be mathematically generated in realtime by an effect. This way you do not need a DDS file. This example uses the Voxel/VoxelGoursatSurface effect. What are other names of a voxelmap? How do I create a voxelmap? Voxelmaps are mostly generated by customized scripts for specific projects. Outerspace Software does not offer a tool to create voxelmaps. You can find the voxelmapping effects in the Effects/Voxel folder. A cartoonmap contains a horizontal gradient used for custom lighting. It is called a cartoonmap because an old hand drawn cartoon can be imitated by using a gradient with only a few colours. A cartoonmap looks like this. 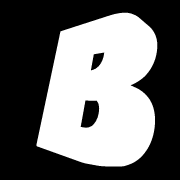 This is how this cartoonmap looks like rendered on a text. The effect used is Effects/Cartoonmap. What are other names for a cartoonmap? A cartoonmap is also called a toonmap. 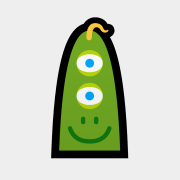 How do I create a cartoonmap? Cartoonmaps can easily be created in Photoshop with the gradient tool. A alphamap is a greyscale picture describing the alpha channel(transparency) of the surface. Black is fully transparent and white opaque. A alphamap looks like this. The Effects/Filters/GradientWipe effect uses an alphamap to wipe between 2 pictures. What are other names for an alphamap? Alphamapping is also called Transparencymapping or Opacitymapping. How do I create an alphamap? Alphamaps can be created in any paint app. A tonalartmap is used to imitate hatching. Instead of rendering a texture darker, tonalartmapping renders more lines or dots. This gives the impression that it is pencil drawn. A tonalartmap looks like this. 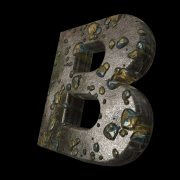 Using this texture with the Advancedmaterials/Tonalartmap effect produces this result. Notice that the darker parts are darker not because the lines are rendered darker, but because more lines are rendered. What are other names for a tonalartmap? tonalartmapping is also called realtime hatching or abbreviated toTAM. How do I create an tonalartmap? There are no paint apps that can generate tonalartmaps. They have to be created with a custom script. A depthmap is a greyscale picture describing the distance to the camera. The depthmap of the current scene is available for effects applied to the camera layer. 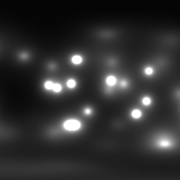 It is used for effects like fog and depth of field. A depthmap contains the distance to the camera. In this example the letters to the right are closer to the camera than the letters on the left. The depthmap of the above scene looks like this. The effect used to produce this picture is Effects/System/CameraViewDepthmap, applied to the camera layer. What are other names for a depthmap? 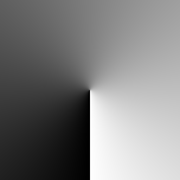 A depthmap is also called the z-buffer or depth buffer. A stencilmap is a greyscale picture describing a mask. 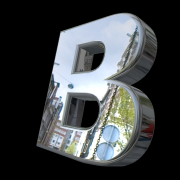 BluffTitler uses stencilmaps in the mirror layer and to render shadows. When rendering shadows, the stencilmap contains the shadows. The stencilmap of the above scene looks like this. The effect used to produce this picture is Effects/System/CameraViewStencilmap, applied to the camera layer. Effects work in close cooperation with textures. For example the reflectionmap effect requires a reflectionmap texture. For convenience BluffTitler associates texture filenames with effects. 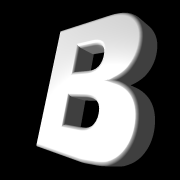 For example if you load a texture containing the word reflection (as in ReflectionMap_Silver.jpg) BluffTitler automatically loads the Reflectionmap effect. You can turn this system off by unmarking the Try to keep textures and effect matched checkbox. When you select a new effect, the default textures are selected in the 3 texture slots. For example when you select the Reflectionmap effect, the 1st texture is set to ReflectionMap_Silver.jpg because the effect wants a reflectionmap in the 1st texture slot and this is the default reflectionmap. You can set the default textures in the Default textures tab of the SETTINGS > Options dialog. You can turn off this system by unmarking the Try to keep textures and effect matched checkbox. Some effects use 2 or even 3 textures. This is called multitexturing. 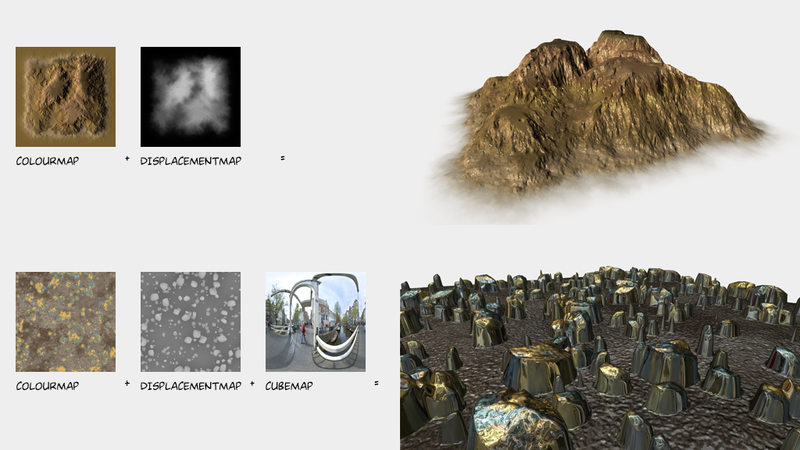 For example the Effects/AdvancedMaterials/ColourmapDisplacementmapCubemap effect combines colourmapping with displacementmapping and cubemapping. You do not have to use all supported textures. Effects are smart enough to turn off a part of the effect if the required texture is missing. Without blending, your layer overwrites the background. The effect used in this example is Effects/NotLightened. With additive blending, the colour of your layer is added to the colour of the background. 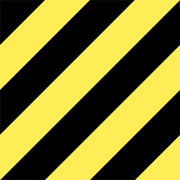 This way, black is transparent and brighter colours are rendered with extra brightness. This works great with particles. 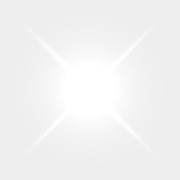 The effect used in this example is Effects/NotLightenedAdditive. 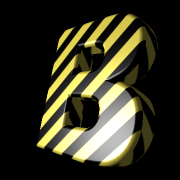 The Effects/Flare effect also renders your layer with additive blending. It offers a few extra FX properties. With subtractive blending, the colour of your layer is subtracted from the background. This way, black is transparent and brighter colours make the background darker. 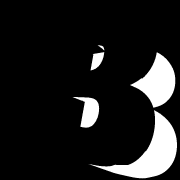 The effect used in this example is Effects/NotLightenedSubtractive.